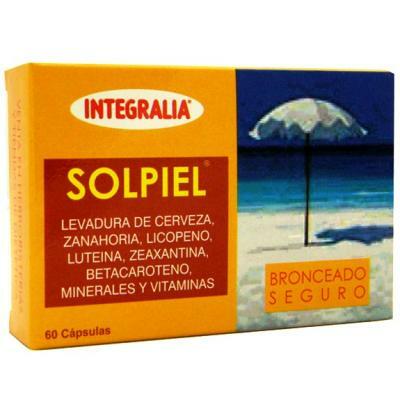 Solpiel is a dietary supplement that acts as protector of the skin and helps to get a good Tan. Composition: Yeast of beer, carrot, Aloe vera, Coenzyme Q10, and wheat germ. Directions for use: take 3 capsules a day.